Blue Jays slugger Jose Bautista made the all-star team in six straight seasons before injuries limited his effectiveness last year. 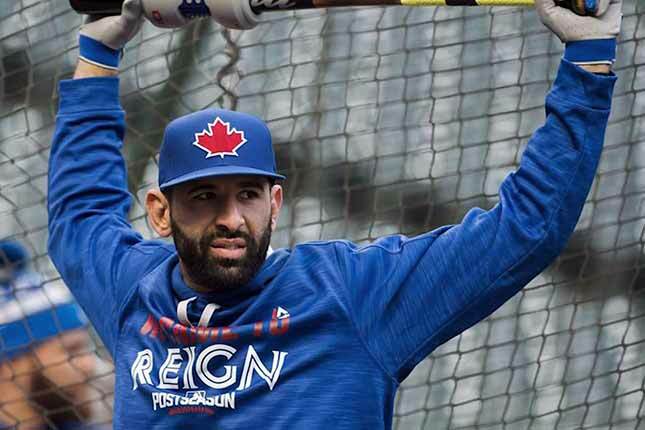 General manager Ross Atkins is confident Bautista can return to the level that made him one of the top players in the game. “I think he’s capable of doing what he’s done year in and year out,” Atkins said Thursday at Rogers Centre. “The player that he was that made him a six-time all-star, a guy that has certainly for the last eight years been one of the best hitters in baseball. (Near the) top in votes for MVP. Bautista, who signed a US$18-million, one-year deal with the Blue Jays this week, battled toe, shoulder and knee injuries last season. He played in just 116 games, hitting .234 with 22 homers and 69 RBIs, well down from the 40 homers and 114 RBIs he had in 2015. His new contract includes a $17-million mutual option for 2018 with a $500,000 buyout along with a $20-million vesting option for 2019. Bautista leads all big-league players with 249 homers since 2010, but his defensive skills have slipped in recent seasons. Atkins said a 2015 shoulder injury impacted Bautista’s ability to throw last year. Many baseball observers expected Bautista to move on, but few predicted the tepid interest in veteran sluggers this off-season. The loss of a draft pick may have been deemed too costly by some teams as well. In the end, both sides explored their options before returning to what was familiar. Bautista could take another run at free agency or be in line for lucrative annual salaries through 2019. The Blue Jays, meanwhile, fill a need in right field with a proven performer who can help anchor a batting order. Atkins didn’t want to go into the specifics of the negotiations with agent Jay Alou, but did say they were “extensive and a very collaborative effort.” He added that Bautista always had a strong desire to return. 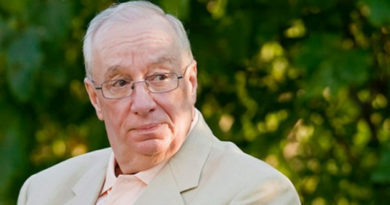 “It was clear from Day 1,” Atkins said. “It was clear from last year. He said that and it’s clear he meant it. He really wanted to be here. I don’t know exactly what deals he turned down, I don’t know exactly how much money he walked away from, but I would guess that he did. That’s the most abundant fact that you could look to see how much he wanted to be here. Bautista has played a key role in the franchise’s return to prominence. His infamous bat-flip homer in the 2015 playoffs will go down as one of the top moments in team history and he helped the Blue Jays get back to the American League Championship Series last fall. The 36-year-old native of Santo Domingo, Dominican Republic is expected to hold a media availability this weekend. With the Bautista deal complete, Atkins can shift his focus to improving the bullpen and working on an upgrade in left field. Melvin Upton Jr., Steve Pearce, Ezequiel Carrera, Darrell Ceciliani and Canadian Dalton Pompey are all in the mix for the left field spot. Atkins signed designated hitter Kendrys Morales in mid-November but was fairly quiet over the last two months compared to Toronto’s division rivals. The Boston Red Sox have emerged as an early favourite after landing ace left-hander Chris Sale while the New York Yankees signed star closer Aroldis Chapman. Also Thursday, the Blue Jays announced their minor-league field staffs for the 2017 season. Of note, former Blue Jays outfielder Devon White will serve as hitting coach of the triple-A Buffalo Bisons and Eric Wedge will lead the player development team as field co-ordinator. Wedge, a former big-league manager, served in an adviser role with the team last season.